It’s imperative to keep your personal information safe so that thieves can’t run up huge bills or commit crimes in your name. Choosing the best identity protection service is difficult, so we pit Identity Guard vs ID Watchdog in a head to head challenge. Protecting your personal identity is critical, which is why you want the best identity protection tool available. To help you choose, our experts put two top-performing services head-to-head to compare their credit monitoring, information protection, recovery services, and bonus features. We selected Identity Guard vs ID Watchdog because they offer similar levels of protection. While both are reliable services, only one can come out on top. To save you the time sifting through your credit reports and checking for anomalies or changes, you can have an identity protection service do it for you. Identity Guard partners with IBM to use its “Watson” artificial intelligence program to search thousands of public records, financial details, and credit information as well as checking for payday loans. If you get its total protection plan, Identity Guard regularly scans your credit standing with the three main credit agencies and sends you quarterly credit updates, while the Platinum plan ups that to monthly credit updates. ID Watchdog Plus plan only scans one credit report, while with the Premium option you’ll get all three credit agencies checked. You can freeze your credit report if you’re concerned about fraudulent activity. Both plans keep track of any attempts to open new credit cards and monitor payday loans. Identity thieves can attempt to get your personal information by trying to change your mailing address in order to get mail with your personal details, stealing your Social Security number, or hacking marketing databases for your details. Identity Guard scans the web for illegal use of your social security number and if private information is being traded online. It checks that your mailing address hasn’t been changed or if your email address has been hacked, and tracks your bank account information. It also scans thousands of public records. ID Watchdog also monitors public records that include driving licenses and certifications to check that none of your personal details have been changed without your knowledge. It looks for any unusual transactions made in your name such as wire transfers or mortgage applications and even checks pawn store loans. If your identity is stolen, despite your greatest efforts, you’re going to want robust support to help you deal with the myriad of notifications, card cancellations, and phone calls that need to be made as a result. All of this is lumped together under the rubric of recovery services. Identity Guard has $1 million of insurance to cover the costs of restoring your identity, including legal fees, travel expenses, and lost wages. There’s a 24/7 secure hotline if your identity is stolen. The company provides you with a dedicated case worker to advise you on how to restore your identity, but there isn’t a lot of active help in making the actual phone calls. ID Watchdog really stands out for its identity recovery service. While it also provides $1 million insurance to cover costs, it goes above and beyond with its Identity Theft Risk Management Specialists. These individuals work with you and on your behalf to notify credit agencies, banks, and credit card companies about the theft, order your new credit cards and support you through all the steps to restore your identity fully. You don’t have to make all those daunting calls on your own. Feature #1: Fraud alerts. Identity Guard will send you an immediate alert via phone, text, or email if it detects any unusual activity on your financial accounts or if your personal details are changed anywhere. You’ll then be invited to speak with a consultant to decide what to do next. ID Watchdog also sends email or SMS notifications if there is any sign of fraudulent activity or if your information appears anywhere suspicious. Feature #2: Mobile app. Identity Guard has a free mobile app which is easy to use to keep up with your identity status. ID Watchdog doesn’t offer a mobile app. Feature #3: Cybersecurity tools. ID Watchdog doesn’t offer any additional cybersecurity tools or virus protection, but Identity Guard does. Identity Guard includes keyboard encryption software which stops hackers from tracking your keystrokes, password protection with an encrypted password vault, and anti-malware, anti-spyware, and anti-phishing software. Feature #4: Lost wallet protection. 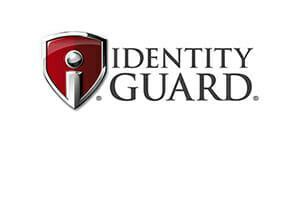 Another service offered by Identity Guard but lacking with ID Watchdog is coverage for if your wallet is lost or stolen. Identity Guard will help you cancel all of your credit cards and provide you with up to $2,000 of emergency cash to use until your new cards arrive. Feature #5: Family coverage. Identity Guard has a pricing plan that lets you add your children to the protection plan since children are frequent targets of identity thieves. ID Watchdog doesn’t offer this service. Fast customer service is extremely important when it’s your identity that’s on the line. ID Watchdog offers 24/7 customer support via a toll-free phone number or via email with fast response times. Identity Guard offers live chat and email support, but the toll-free telephone support is not available round the clock. Both ID Watchdog and Identity Guard offer multiple price plans. ID Watchdog has a Plus plan for $14.95 per month and a Premium plan for $19.95. Both plans come with a discount if you pay for a whole year at a time. Identity Guard has a whole range of plans beginning at $9.99 a month and rising to $29.99 per month for a family plan (two adults and two children). 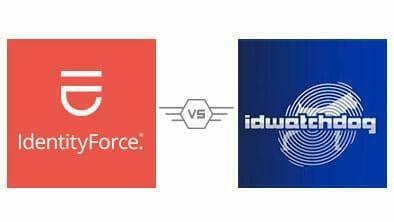 While both Identity Guard and ID Watchdog offer good protection, in a contest of ID Watchdog vs Identity Guard, only one can come out on top, and we prefer Identity Guard. The extra features such as cybersecurity tools, lost wallet protection, and the opportunity to include your children and partner within one plan tips the balance for us. 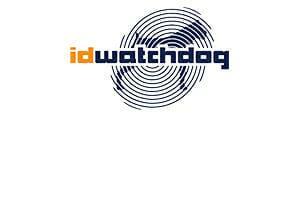 That said, ID Watchdog is still a good choice for its identity recovery services and top customer service. < Previous How to Catch a Catfisher? Bank account protection seems like it should be a must, I agree with your choice! I signed up for Identity Guard last year and it paid off almost immediately. Someone had been using my daughter’s identity and had run up two credit cards and taken out a car loan! I was able to get things fixed eventually but boy was that a mess. Had I not checked, they may still be using her identity.